When my sister told me that she saw on Facebook that Robin Williams died this past Monday, I thought it was a hoax. Robin Williams? Severe depression?? Addict??? Suicide by hanging????? No way, not the dramatic comedian we grew up watching. Not the man behind the English teacher inspiring students to love poetry and seize the day in Dead Poets Society (1989); not the DJ finding humanity during a war in Good Morning Vietnam (1987); not the medical student/doctor who saw the person and not the condition in Patch Adams (1998); not Mrs. Doubtfire (1993)! Red Eye article on Robin Williams. Walking (or in my case, rolling) to work Tuesday confirmed Robin’s death, as we passed by newspaper racks with his face on the covers. I learned more of the circumstances from Facebook, the news, and my sister. Apparently, he was public about his addiction and sought treatment. I began reflecting… Was there anything I could have done to prevent his suicide? I realize that this is illogical since I never knew him personally, but that is how my mind works. 1999 picture of Robin Williams from this online article. I had a similar reaction, except more intensified, when I learned that my able-bodied friend from middle school attempted suicide. She loved Elvis and would tell me the gossip on the popular girl, who lived next door to her. She wanted to live in Southern Illinois on a farm, because that’s where her dad lived. I offered to join her. She attempted suicide during our freshman year; we went to different high schools and we lost touch. I beat myself over this. I knew that she was having a tough time after losing her dad. If only I stayed in touch with her, maybe she wouldn’t have tried to kill herself. Was her transition to high school as lonely as mine? Perhaps hers was lonelier. What can we do as a society to equip people experiencing depression and suicidal feelings to survive? I do not claim to be a medical or psychological expert. However, in my non-expert opinion, there must be other options besides institutionalization, short-term rehabilitation programs, peer counseling programs like Alcoholics Anonymous, gun control, and our current options that don’t seem to be working well. Perhaps we can start by improving access to mental health care and eliminating stigma attached to mental illness. There also seems to be an unspoken tension between the disability rights community, embracing our disabilities, and mental health, including the consequences of mental illness. While the term “mentally ill” clearly is inappropriate, “mental illness” seems like commonly use terminology, which I use here for lack of better language. Additionally, it seems like mental health advocacy has been more of an afterthought in the disability rights community. Logistically, it may have made sense to focus on physical access and integration since many of the first disability rights activists were people with physical disabilities and their families. But that shouldn’t be the case today. If the disability community did more to include people experiencing mental illnesses, who may already feel isolated, this may foster a sense of belonging for the individuals experiencing mental illness and bring diverse perspectives for the disability community. In case someone reading this is contemplating suicide or knows someone who is, please call the National Suicide Prevention Lifeline at 800-273-8255 or via TTY at 800-799-4889. If you’re not in a crisis but just need to talk to someone, call the Illinois Warm Line at 866-359-7983 or find your state’s Warm Line at warmline.org and follow the prompts to speak with a recovery support specialist with mental health recovery experience. 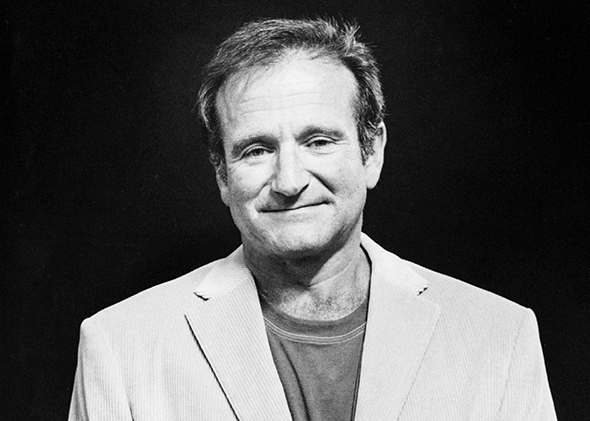 It is problematic that we have so much sympathy and sadness for Robin Williams (although his national/global iconic status and contributions to the entertainment industry are major factors) and people like him, but we get angry and vengeful, towards people with untreated mental illnesses or other disabilities that may have been a factor in their violent actions, like mass shootings. 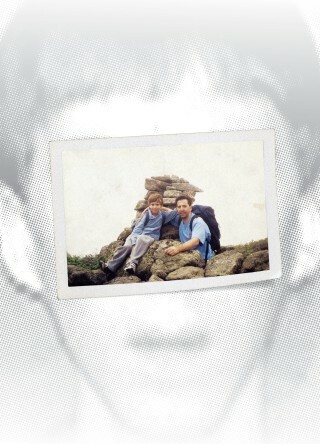 Adam and his father, Peter Lanza, on a hike when Adam was about ten from The New Yorker article from Peter’s perspective. Adam Lanza was a young man on the autism spectrum, who refused getting therapy and stopped taking his Lexapro medication, commonly used to treat depression and generalized anxiety disorder. You may know him as the 2012 Sandy Hook Elementary School shooter, responsible for 28 deaths, including his own. I am not justifying Adam’s actions, or the actions of other shooters, but the disability or disabilities involved should be considerations (this is why we have the insanity defense in criminal cases, despite its criticisms). I am not saying that all people with autism or mental illness have a tendency to commit harm to others or themselves, which I have heard said in light of the Sandy Hook shootings. As the public reacted to Newtown, Connecticut, demanding mental health reform and gun control, I grew concerned at the repercussions for people with mental illness. Would we become a Minority Report (1996) kind of society, imprisoning people with mental illness for crimes we think that they will commit in the future? Fortunately, we have not. It’s outrageous to lump people who commit suicide, who just injure themselves and presumably scar their loved ones, with people who commit mass shootings, you say? Well, the society that failed to provide the services and supports for the people committing suicide also failed to provide the services and supports for the people committing mass shootings. I think that until we, as a society, develop better strategies, services, supports, and a better understanding and acceptance of mental health, we are just as responsible for the killings as the person who pulled the trigger or ties a belt around his neck. Improving our mental health care system and our culture involving mental illnesses will improve our society for everyone, including people experiencing mental illnesses and those living in communities with them. Hopefully, then we will be able to provide better community to people who have been isolated, who will in turn, be able to provide better community to others. Alice Park, Don’t Blame Adam Lanza’s Violence on Asperger’s, Time, Mar. 11, 2014 available at http://time.com/19957/adam-lanzas-violence-wasnt-typical-of-aspergers/. Andrew Solomon, The Reckoning: The father of the Sandy Hook killer searches for answers, The New Yorker, Mar. 17, 2014 available at http://www.newyorker.com/magazine/2014/03/17/the-reckoning. Maggot Fox, VA: Aaron Alexis never sought mental health treatment, NBC News, Sept. 19, 2013 available at http://www.nbcnews.com/health/mental-health/va-aaron-alexis-never-sought-mental-health-treatment-f4B11199522.